The first annual MSE Elevator Pitch Competition took place in conjunction with the MSE Industry Day on October 25 in the Marcus Nanotechnology Building. 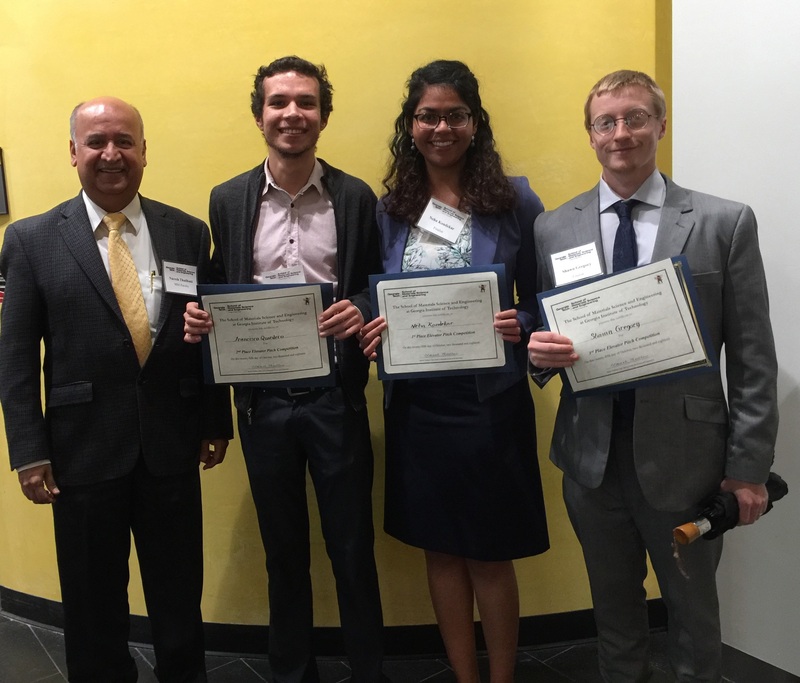 Fifteen graduate students participated in the preliminary rounds of the competition. A panel of four non-scientists narrowed the pool down to eight students to participate in the final round. Competing for cash prizes, the students had 90 seconds to present their research without the aid of props. Four judges drawn from industry, non-science/engineering faculty, and MSE administration evaluated the presentations, narrowing the winners to three. The other contestants in the final round were Jae Wan Ahn, Mohan Kashyap, Gus Lang, Jonathan Leung, and Brandon Piercy. The Industry Day also included a poster session where 30 graduate students and 12 Undergraduate Research Scholars presented posters highlighting the cutting-edge research activities in MSE.